This EA still works and able to make very big weekly profit. 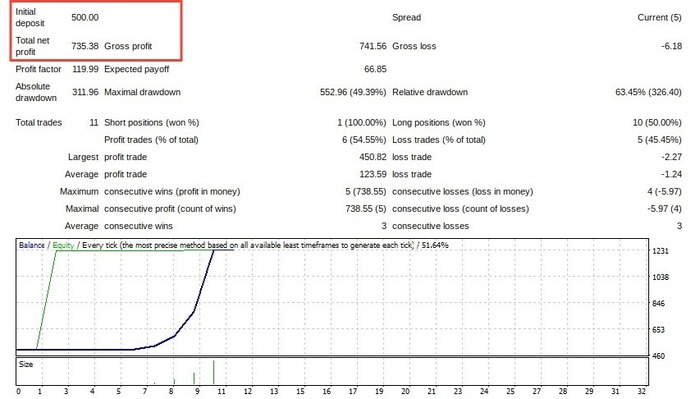 ► MT4talk.com → ► FREE FOREX ROBOTS → This EA still works and able to make very big weekly profit. Topic: This EA still works and able to make very big weekly profit. Use it on only at InstaForex with Leverage 1:1000, $500 deposit. Re: This EA still works and able to make very big weekly profit. Does this ea still work on the $200 setting? If so, is the setting in your first post on the first thread still good. If not please upload. Which pair and time frame are you using? Could you tell me more about that EA? Why People don't post EA's with all details like Pairs, Time Frame etc.? Its request that Kindly update details here! You can try on either EURUSD or EURJPY, on TF M15 or H1.